I am sorry, the past few days have been a whirl wind around here! I have been taking my Dad to physical therapy several times a week and with my announcement, contacting customers, etc. Life has been FULL! I have been taking pictures, just haven't had time to post them here...until now!!! Remember the caterpillar-butterfly from a few days ago? 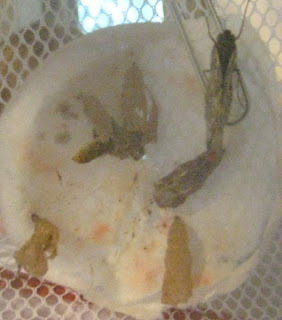 Well, he STILL hasn't hatched but when we woke up Wednesday morning 2 others had come out of their cocoon! My children were thrilled. 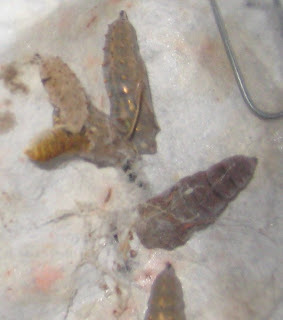 There are 2 pupa that remain in their cocoons. The on is still alive and is wiggling to get free, but it has now been 4 days and no progress has been made, so I am wondering if he will survive. Funny how a small little creature can get me concerned? I look in on him often and my flesh wants to help free him, but I know part of the struggle will help him in his survival. 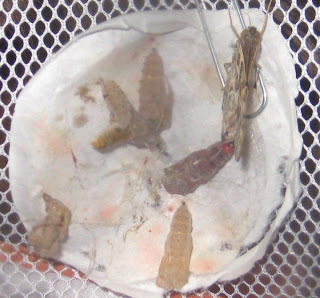 If you notice on the top photograph, the one cocoon has a red bead of fluid on the top. This is something they secrete...my 6 year old tells me it is a red drop of liqiod form the wings and this is what gives them their color. Hmmm. I do not recall reading that anywhere. 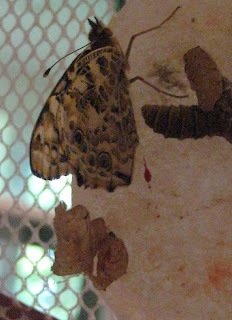 There are a few pictures of our THREE butterflies...we are still waiting for two to come out. Thank you for stopping by! Be on the look out for BLOG CANDY this week! Each week, I try to give us a challenge that will use things we have lying around our stamp rooms! With a constant flow of new things coming out, I tend to forget about the other things I have and they quickly become clutter! Come join us in the Belli Challenge and be sure to post your link to this website! This Weeks Belli Challenge is ANYTHING BIRTHDAY RELATED! 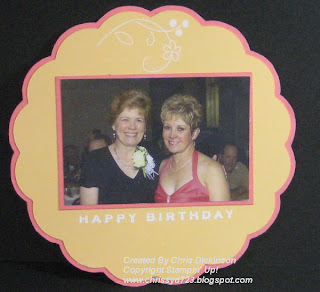 You can make Embellish or design MANY different things with a BIRTHDAY theme. There are twizzle sticks, Rub Ons, Stamps, Chipboard, Glitter, Brads, Stickers, Party supplies...the ideas are endless! Truthfully - this week has held some MAJOR CHANGES in my life and I did not do my original plan! 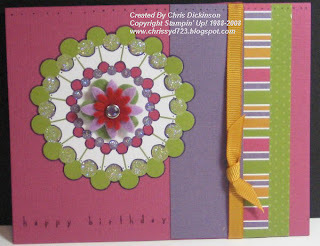 However, I am planning to create another project this week with a BIRTHDAY theme! Sooo...check your craft boxes and shelves for some BIRTHDAY SUPPLIES. 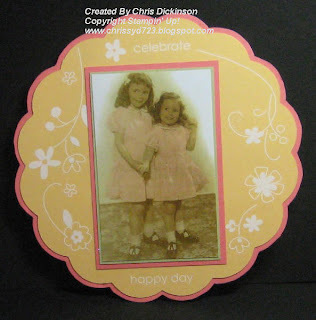 Make a completed project using anything BIRTHDAY RELATED and share the link here in the comments linking to my Blog and CBC27. When you post to Splitcoaststampers or to your Blog, be sure and put CBC27 as the KEYWORD and mention of the challenge - with a link! The winner will recieve an assortment of Designer Paper from me! Deadline to make a comment with the upload and do the Challenge will be on Monday evening. A random drawing will be held on Tuesday and the winner will be announced on Wednesday! 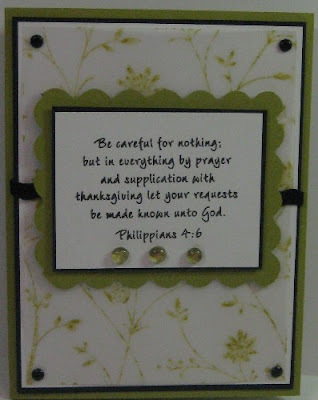 I designed this card for a contest, but I never mailed it in by the deadline, even though it was finished weeks before. Anyone want to come over and be my mail person once a week? LOL I really need someone to help with that! 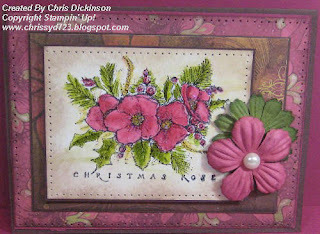 Stamp Sets: Whipper Snapper Designs Flower Set - sorry do not know the name, it was not my stamp! 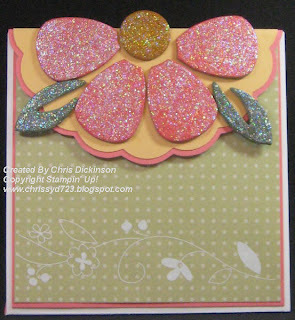 I cut out individual flowers on this project to give it a lot more dimension. You can see some of it on different angles pictured. I will have an update on the Butterflies later today. 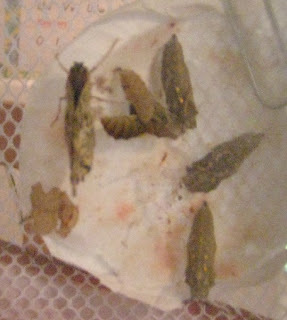 We had 3 come out of the cocoon and the one who was coming out...still hasn't, so I am wondering if he will not make it. You all have a WONDERFUL day! I *hope* to get some stamping in tonight! Ya know what? This girl is too darn cute! She keeps dangling her little loose chiclet in my face - ***Wiggle * Wiggle*** I said I need to get a picture of that loose chiclet before she loses or swallows it! Frankly, looking at that tooth, kind of makes me gag. I do not do mouths very well. Have you ever had such exciting news you can hardly contain yourself? I think it has been 5 days that I have not slept due to sheer excitement!!! I submitted some of my personal drawings/artwork to the owner of Sweet 'n Sassy Stamps and she liked them! 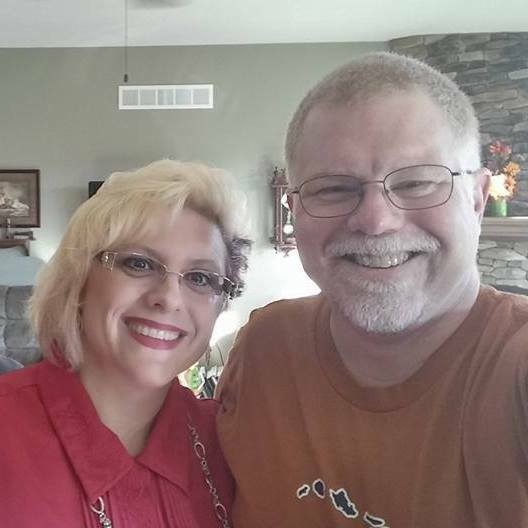 So as of August 1, I am stepping down from my Stampin' Up! 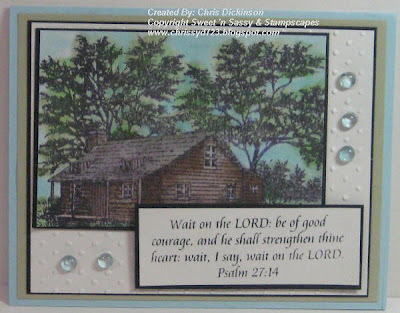 Demonstratorship to become a Designer for Sweet 'n Sassy Stamps. My first stamp set will be released as of September 1!!! I am so excited and hopeful. This is such a wonderful opportunity that God has blessed me with! Hebrews 11:1Now faith is the substance of things hoped for, the evidence of things not seen. To those of you who have been my faithful customers and friends, I appreciate each of you so much! Stay tuned to my blog for projects made with my upcoming RELEASE and information to follow! This is a custom made Birthday card for my friend Joann. Her sister lives in Arizona. I love the images of her childhood she sent to me. The chipboard I used Craft Ink on the chipboard with Stickles. 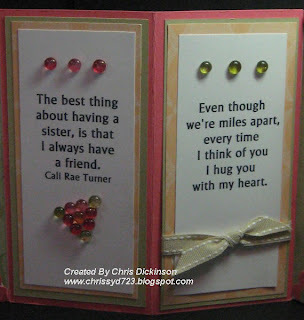 I used the Cricut with the Font Base Camp for the Sisters along with Chipboard for the letter S from Making Memories. The inside quotes I printed up using my computer. Here is Joann and her sister this past winter skiing. 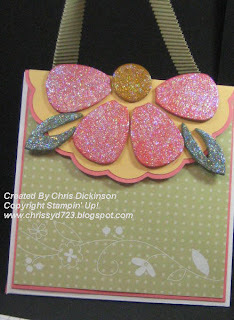 I used Dew Drops and mini glue dots as embellishments. Thank you for looking! Have a wonderful day! Do you see the butterfly? This one gets tired out easily. It has been fascinating to watch. He struggles for awhile, wiggling around - it has been a good experience to talk to the children about how these butterflies would die if we help them out of the cocoon. Through this struggle they build their strength to be able to survive. I think it is amazing that just like us as humans - we grow through adversity and as we go through difficult times we get stronger - in our faith and in our ability to work through other opportunities of character growth! (I always tell my children that this is a character building opportunity in those moments of unsavory behavior. LOL) - the butterfly gets stronger and can only survive through that struggle to get out of the cocoon. Anyways, God is GOOD! This butterfly did NOT hatch last night, and we have been able to watch this entire process very slowly through out our day today. Here are a few other angles. I will take more pictures this evening to see where this butterfly is in the hatching process so you can see what we see! If you look closely here - you can see on the one chrysalus the butterfly's attenae - he moves that around and is pushing to get out. Today, I pretty much ignored the net. I had sooo much to do I didn't even pay any attention to the Cocoons. Tonight, I went into the kitchen around 4:30 p.m. to make dinner. I saw something MOVE in the net. I was like "HUH!?" One of our butterflies had hatched!!! 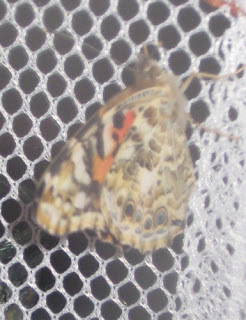 The first few pictures were before the Painted Lady Butterfly had pumped it's wings. Once it pumped its wings to get the fluid flowing and "fluff" up a bit, he seemed to gather more color. The books told us to mix 3 tsp. of sugar with one cup of water and soak flower petals inside or make them like dew drops and lay on the bottom of the butterfly hut, so we did that. This final picture is after the butterfly had eaten. More color seems to be coming into the butterfly as the hours have passed. 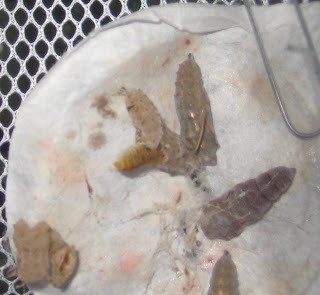 If you look closely at the pictures with the other cocoons, there is one hatching or coming out of the cocoon. We will take pictures as often as we can - before bed and first thing in the morning of the cocoon that is hatching. Be sure to check back tomorrow to see the next butterfly! 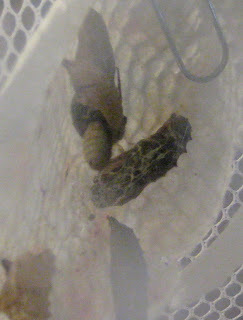 I skipped a day, because I didn't think it would be too exciting to look at a cocoon on Day Two. But here is a picture from yesterday of the cocoons on Day 3. I will still take daily pictures, because it looks like they are changing - in color and texture. I asked my husband to take pictures, and he only took one. So today I will take some more at different angles. I have been running around so much the past few weeks that my stamping time has been greatly interupted. In my selfish mode, I am grumbling and have not been happy. And you know...when momma ain't happy, NO ONE is happy. So all day I have been working on my attitude. Not easy to do! So tonight, I sat down after dinner and SLOWLY...VERY SLOWLY came up with this. It was hard to think Christmas and I had no idea which stamp set to use. Then I realized I had this paper and thought how PERFECTLY it would go with this Urban Cosmos paper I purchased from Sweet 'n Sassy Stamps. One thing I can tell you, matching different Designer Papers does not come easily to me. I painstakingly looked and switched Designer Papers until I came up with this combination. Thank you soooo much for looking! Be sure to check out all of the Bloggers Challenge Participants to get more CHRISTMAS in JULY! You can click on the icon on the RIGHT. All Caterpillars are now in there chrysalus's. There are several close ups of them. 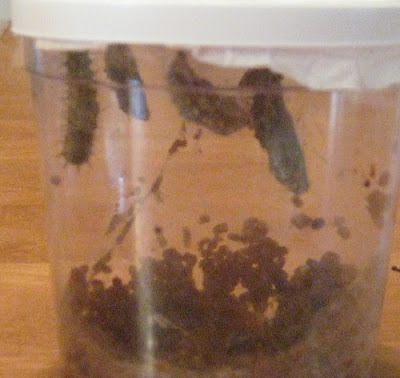 On the LEFT is the container the caterpillars were in. There is their shedded skins in there too. Those are the black remains. First of all, HE IS WONDERFUL! 1. Yesterday, he tolerated my crowd of friends here being here all day. 2. He lived through my scurrying around cleaning the past 4 days. 4. After dinner, he washed ALL of the dishes and cleaned the kitchen. 5. (prequel - my husband NEVER sings) He seranaded me today! He sang me Happy Birthday!!! 6. He made my favorite dinner - steak on the grill, potatoes and a salad. 7. He bought me a dozen of my FAVORITE Fire & Ice roses! 8. He cleaned up the kitchen and did the dishes again! 9. He bought me a gift certificate for a massage!!! 10. He helped with the children all evening yesterday and Today! My man is simply the BEST and I am soooo blessed to have him! 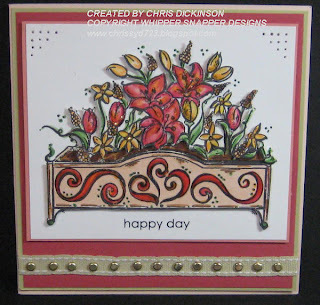 This weeks OCC Challenge is to DRY EMBOSS. Afetr using VELLUM the other day, I felt inspired. So I grabbed some more and designed this card. I used the Swiss Dots Cuttlebug folder for the frame. 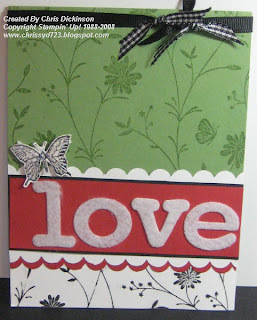 The stamp is from Whipper Snapper Designs called True Friends. 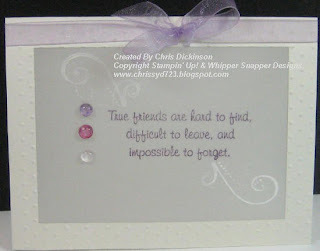 Cardstock & Ink: White Staz On, Elegant Eggplant ink, White Shimmery cs and Vellum CS. 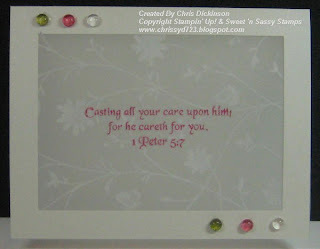 Accessories: Paper Trimmer (to cut out the frame) Dew Drops - Orchid from Sweet 'n Sassy Stamps, Orchid organdy, Cuttlebug, Swiss Dots folder. Each week, I try to give us a challenge that will use things we have lying around our stamp rooms! With a constant flow of new things coming out, I tend to forget about the other things I have and they quickly become clutter! Come join us in the Belli Challenge and be sure to post your link to this website! This Weeks Belli Challenge is FELT. You can make Embellish or design MANY different things with your FELT. There are felt flowers, felt pockets, felt sheets and felt letters - probably even MORE! Check your craft boxes and dig for some FELT if you do not have any in your craft box! Make a completed project using an FELT and share the link here in the comments linking to my Blog and CBC26. When you post to Splitcoaststampers or to your Blog, be sure and put CBC26 as the KEYWORD and mention of the challenge - with a link! The winner will recieve an assortment of Designer Paper from me! 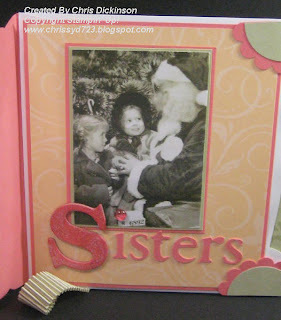 This weeks winner is Liz's Lovelies to check out the BEAUTIFUL LAPBOOK that she made. For more inspiration -Check out these and make a comment too for them please! We all LOVE comments. It is fun to see what everyone is thinking about what we are creating! :)Some of these people may not have their projects up until later today. Sorry for the delay! Be on the look out tomorrow for the Belli Challenge! Thanks for stopping by! Have a great day! I combined challenges here - CC176 and the DTGD08Jody Challenges on Splitcoast. The DTGD08Jody is one of the Dirty Dare '08 challenges and we were supposed to use something DRY EMBOSSED. So I used the polka dots Cuttlebug. Ok- I promise this is the last post for this evening! So much happening in our lives these days, hey? Afetr cleaning for two days, I had time to stamp. My office is COMPLETELY clean (for 5 minutes) so I took pictures but will wait until some time this week to post the pictures. So be on the look out! Thank you for looking! Have a wonderful evening! This morning, when we woke 2 caterpillars were in position to go into the Pupa Stage. This picture was taken at 11 a.m.
By 3:00 p.m., one of the caterpillars was in his cocoon and the other had shed his skin and was preparing to go into his cocoon. By 6 p.m., the last caterpillar was fully into his cocoon. I will take daily pictures but it will be approximately 14 days until the butterfly emerges. In the meanwhile...keep an eye out for more details! 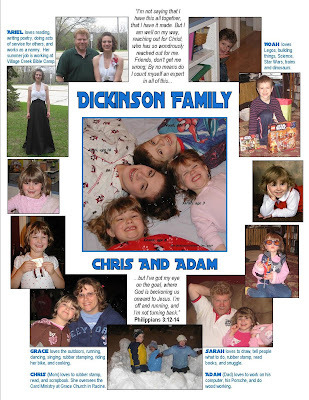 Our Homeschool Group that we are a part of does a yearbook page per family and different events through out the year. The people in charge of it do such a nice job and the yearbook is beautiful. My friend Lorie helped me put it together. 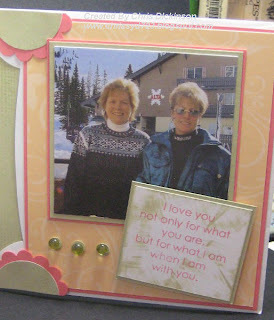 I can scrapbook on paper, but I have never tried digital scrapbooking. This is my familys' yearbook page for the year. Ahhh- Check one thing off of my list! Some swaps - Only Stampin' Up!